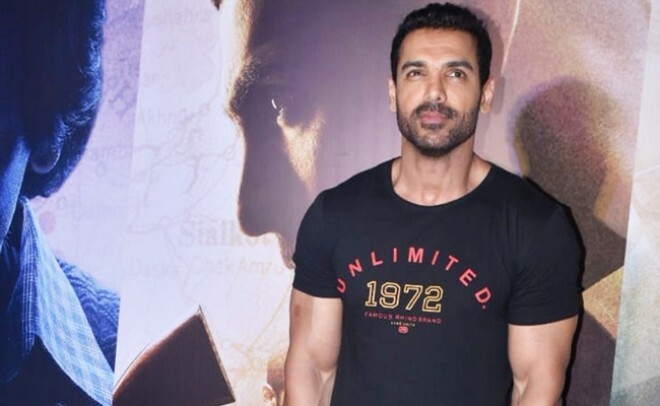 Mumbai: A day after National Award-winning actress Kangana Ranaut asserted that celebrities must speak up on issues of the country, actor John Abraham says it would make sense for someone to make a political statement only if the individual is well-versed with the larger political situation of the world. During the success party of her film "Manikarnika", Kangana said that actors should raise their voice on political issues as they have the power to influence people. Asked if stars must speak out on politics, John said here: "I think being an actor, if you are politically aware, which Kangana is, and she has a voice, then one must take a stand. "But as I said, if only you are politically aware… you should not be stupidly talented. If you are an idiot who does not know which country lies where, and if you are not aware of what's happening from Bihar to Syria, then you should just shut up… Unless you are aware, then only make a statement." His upcoming film "RAW (Romeo Akbar Walter)", releasing on April 5, is based on the real-life story of a spy. John said the film’s team is responsible enough to tell the story. Speaking on behalf of the team, John said: "We are politically aware people. We shot some parts of the film in Kashmir, so we know the grassroots level issues that exist in Kashmir. We understand what is really happening there."